Stats- Played 7 seasons with the Jacksonville Jaguars. Tony played in 91 career games and started 90 of those games. Tony was the first draft selection for the Jaguars in 1995, he was the number 2 overall pick in the 1995 draft. Tony is a three time All Pro selection, all three were in consecutive years in 1997, 1998, 1999. 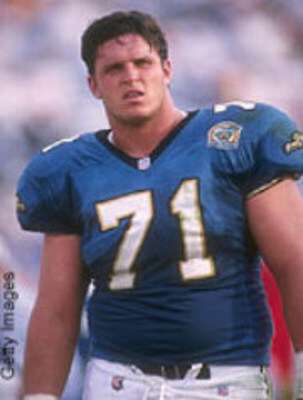 Boselli was named to five consecutive Pro Bowls from 1996-2000. Tony was named to the All Decade team of the 1990’s at left tackle. Tony was also the 2000 Ed Block Courage Award winner, an award which is given to a player which exudes inspiration, courage, and sportsmanship. Tony is the only player to be selected with an expansion team’s first overall selection in the NFL draft, and an expansion team’s first overall selection. Tony was selected by the Houston Texans number one overall in the teams expansion draft in 2002. Tony never played for Houston as old injuries caught up to him and he was forced to retire. Tony signed a one day contract with the Jaguars in 2006 so he could officially retire as a Jaguar. Boselli was named to the Pride of the Jaguars in 2006, which is the teams own Hall of Fame. In 2009 Tony was named to the preliminary list of nominees to the Pro Football Hall of Fame. Tony was never about the flash or the glory. Tony was a player that wanted to do nothing but win. 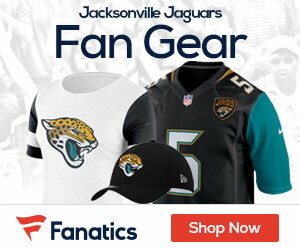 Even though injuries derailed his great career Tony has laid claim to his spot in Jaguars history. This now just leaves one player left to go, and the player at number one meant so much to the team and was nothing but pure energy, athleticism, and competitive spirit. While one team gave up on him, the Jaguars saw a future star that came out of nowhere. Jimmy Smith struggled with drugs while still a Jaguar. Get him off this list. He has gone into obscurity and everyone knows why. I could play well if I was drugged up also. That is why the Jags and the community picked Tony Boselli # 1 to Jags Hall of Fame. He has won every “Favorite Jaguar” vote since playing. Who is pushing this phony vote??? Not the Jaguar Fans. Tony is on the list of 15 for induction into the football hall of fame. Let’s hope they vote him in. He deserves it!